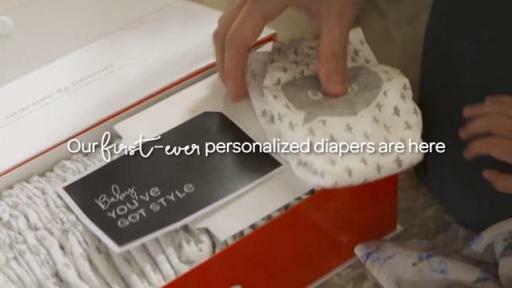 NEENAH, Wis., June 5, 2018 — Huggies® brings the power to personalize the ultimate baby gift by introducing its first-ever customizable diaper, Huggies® Made by You™. To celebrate with a gift as unique as the baby, friends and family can now design their own Huggies diapers with a name, monogram, or date and choose from five limited edition collections. 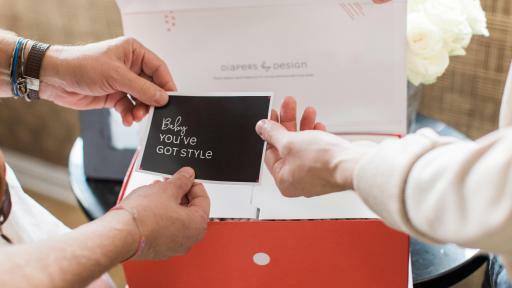 Huggies® Made by You™ unveils today at an exclusive baby celebration for interior designers and husbands Nate Berkus and Jeremiah Brent to celebrate the newest addition to their family – Oskar Brent-Berkus. The event, curated by celebrity party planner Nicole Marie Pittmon, will showcase the new designs, including one very special custom gift inspired by 3-year-old daughter Poppy to her brother Oskar. 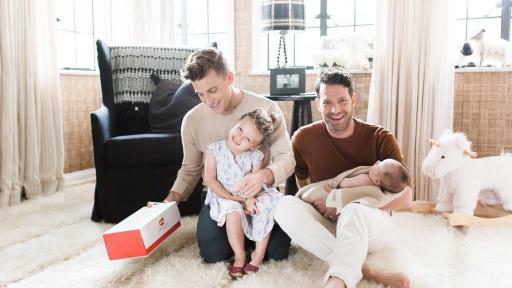 “Teaming up with Huggies to launch its Huggies Made by You collection was a perfect fit for our family,” said Nate Berkus. Made by You is exclusively sold online at HuggiesMadeByYou.com and are made to order. Each custom order costs $75 and contains 28 premium Huggies Made by You diapers, only available in size 1 (8-14-pounds). 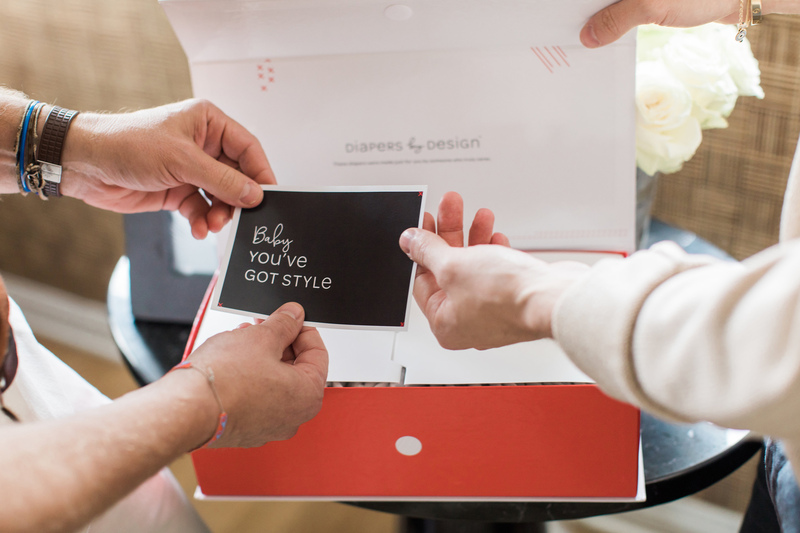 The limited-edition product comes wrapped to impress with one design per premium box. 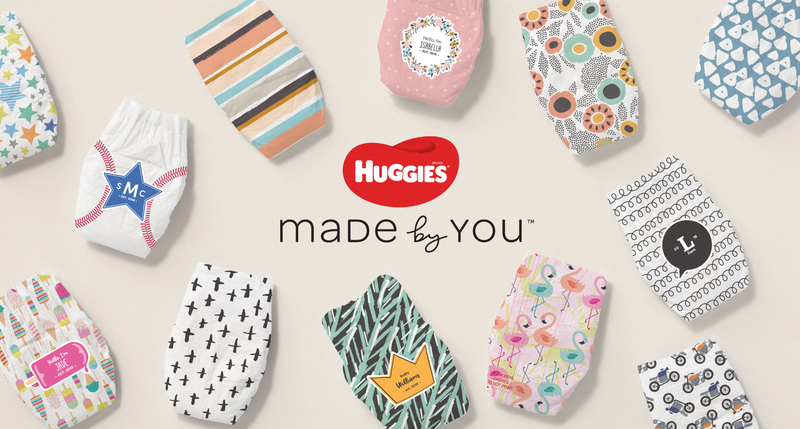 Huggies looks forward to seeing everyone’s custom diapers, which can be shared by using #MyHuggies and tagging the Huggies brand on Facebook, Twitter, Instagram or Pinterest. Kimberly-Clark (NYSE: KMB) and its trusted brands are an indispensable part of life for people in more than 175 countries. Fueled by ingenuity, creativity, and an understanding of people’s most essential needs, we create products that help individuals experience more of what’s important to them. Our portfolio of brands, including Huggies, Kleenex, Scott, Kotex, Cottonelle, Poise, Depend, Andrex, Pull-Ups, GoodNites, Intimus, Neve, Plenitud, Viva and WypAll, hold the No. 1 or No. 2 share position in 80 countries. We use sustainable practices that support a healthy planet, build stronger communities, and ensure our business thrives for decades to come. To keep up with the latest news and to learn more about the company's 146-year history of innovation, visit kimberly-clark.com or follow us on Facebook or Twitter. Huggies believes deeply in the Power of Hugs. That's why every Huggies diaper and wipe is inspired by parents' hugs. For nearly 40 years, Huggies has been helping parents provide love, care and reassurance to help babies thrive. No Baby Unhugged is Huggies promise to ensure babies get the care they need to thrive – from innovative everyday products, growing hospital hugger programs and specially-designed products for the tiniest of babies, to diapers and wipes donations. 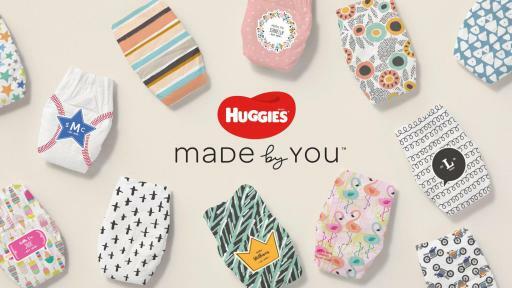 Huggies is the fastest growing diaper brand in hospitals* and partners with NICU nurses to develop diapers and wipes that meet the specific needs of pre-term infants. For more information on the Huggies No Baby Unhugged program, visit the "Why Huggies?" page at Huggies.com. *based on verified shipments to US hospitals for the 52 weeks ending 12/30/17.